The Monroe School is supported by many community initiatives. These local and distant subsidiaries, although not always connected to Monroe, help to establish a safer and more productive learning environment at The Monroe School. A non-profit organization that supports educational institutions that cater to the under-served youth of our nation. The Metropolitan Alliance for Youth Advancement (MAYA) Foundation, a non-profit organization is dedicated to assisting students with learning disabilities as they advance through their high school years and beyond. Our belief that “Learning is a Life Long Process” fuels us with the drive and commitment required to assist students through their academic process. 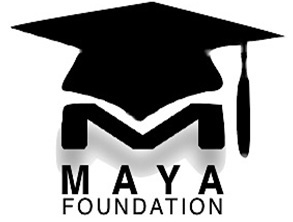 MAYA envisions, strives hard to, and is committed to ensuring that the students we assist through high school, those desiring to attend college, or obtaining the necessary skills to enter the work force is provided with resources, skills, and guidance through this process.